Earlier this month, Volkswagen released its National Zero Emission Vehicle (ZEV) Plan to the public. Under Appendix C of the Volkswagen Settlement, it outlines the first cycle of the plan, which will invest $300 million in the first 30 months (Q1 2017-Q2 2019). The chart below shows the breakdown of how Electrify America will spend the $300 million in Cycle 1. In Cycle 1, Electrify America aims to place over 2500 non-proprietary chargers at 450 individual stations, focusing first on areas with the highest anticipated need for infrastructure. Charging stations will feature J1772 connectors at Level 2 stations and CCS and CHAdeMO at DC Fast Chargers (DCFC). Community Charging ($40 million): Cycle 1 will implement charging infrastructure (300+ stations) in major use cases across 11 metropolitan areas: New York City, Washington D.C., Chicago, Portland (OR), Boston, Seattle, Philadelphia, Denver, Houston, Miami, and Raleigh. These cities submitted the most comprehensive proposals during Electrify America’s National Outreach Plan process. Electrify America is focusing on five major use cases including multi-family homes, workplace, commercial/retail, community, and municipal lots/garages to build out infrastructure effectively. Use cases like multi-family homes and workplaces where vehicles will be parked longer will have a higher ratio of Level 2 chargers, and use cases like commercial/retail and municipal lots will have a mix of Level 2 and DCFC to accommodate for a variety of customers. Highway Corridors ($190 million): Recognizing that having a sufficient network of fast chargers along highly traveled routes increases EV adoption and allows EVs to travel further from their home base, Electrify America is heavily focusing on growing a national network of EV chargers. While focusing on states that will have higher anticipated daily ZEV travel by 2020, the plan indicates that sites will be 66-120 miles apart to allow shorter range ZEVs to take advantage of the network. In addition to placing stations along prominent interstates and highways (supplementing existing infrastructure), Electrify America aims to make charging stations a “user-centric experience,” locating them within walking distance of retail and service establishments so consumers can enjoy their typical charging time of 30 minutes. DC Fast Chargers will be faster than what is currently available, offering 150kW and 320kW capabilities, which are needed to keep charging time minimal as EV battery capacities increase. In building out the infrastructure, Electrify America will rely on 3rd parties, allowing those companies to grow in the amount of jobs currently offered nationwide. 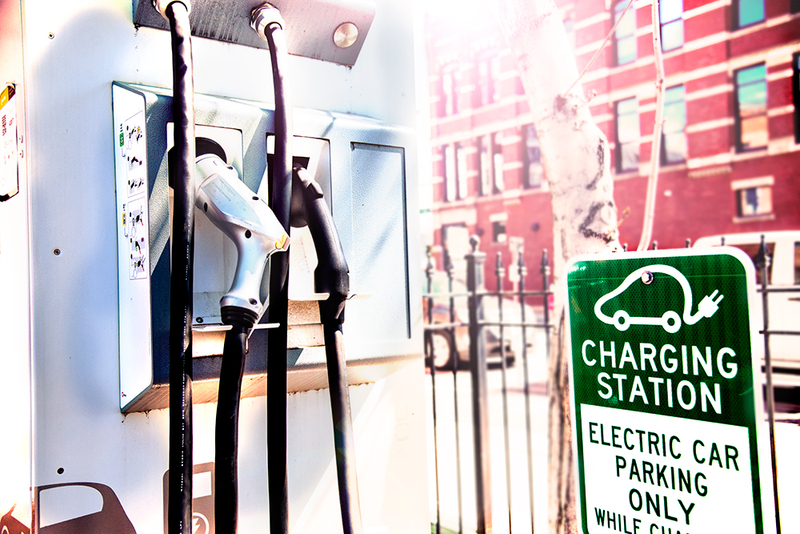 Electrify America is combining the increase in charging infrastructure with a national public education campaign that will simultaneously communicate benefits and address barriers to EV adoption. The figure below shows common benefits and barriers typically mentioned about EVs. The campaign will include the use of mainstream and targeted digital advertisements focusing on “making electric the new normal.” Cycle 1 will concentrate on ramping up the campaign while leveraging resources at the local level to use as supplemental education. Analysis of public comments received by Electrify America indicated that there will be focus on ZEV access initiatives like ride and drive events to increase EV adoption, but it’s unclear at this point how much of a focus it will take in the overall ZEV plan. Electrify America is currently developing this segment and will provide updates on it later. Click here to read the plan in full detail.